In this third volume of his historical series, Keith Lowe follows his study of the anarchy and devastation of postwar Europe with a global overview of the political, social, and cultural effects of the war. Mr. Lowe, a British historian undaunted by the scope of his topic, seeks to distill it all in this epic study ...24 chapters range across each continent and delve into the larger themes with great verve, reflecting Mr. Lowe’s own pungent, very personal opinions about everything... Each subsection, each swirling chapter, is given a human face by the author in the form of an individual’s experience... Mr. Lowe is determined to show us that this war was the greatest thing in History ... By virtue of its ambition; the variety of its content; its author’s talent in giving us both 'large' History and smaller and anecdotal tales; and an easy narrative resting on wide-ranging scholarship, The Fear and the Freedom can justly claim to be one of the best, most useful books on World War II to have emerged in the past decade. In The Fear and the Freedom, Lowe asks us to question the most critical delusion of all: that the allied powers acted as morally as the circumstances would allow and that this war, more perhaps than any in history, was a 'good war,' fought against an ultimate evil for entirely laudable aims ... With journalistic nous, Lowe has assembled a remarkable chorus of voices and asks the most probing of questions. Their testimony, combined with the author’s pointed analysis, elevates a laudable volume into a very readable and startling book ...not well-rehearsed stories, worn thin by overtelling ... Lowe shows how it was fought across the globe by people of many different races and nationalities ... Yet the testimony in these pages demonstrates that adaptation to the extremes and horrors of war was made possible only by the forging of myth. But Lowe’s book isn’t another dry scholarly study of these vast events. Using the lives and testimonies of those who lived through the conflict, it is an exploration of the impact of the war on the inner lives of individual human beings ... Lowe’s book is a compelling work of historical scholarship – but, more than that, it is an intimate portrayal of how human beings carry on when their world has changed for ever ...uncovers the deeper responses produced by the war and its aftermath ...an ambitious book, covering a wide range of events and arguing for large conclusions ... the idea that the chief obstacle to progress or civilisation is outbreaks of mass irrationality overlooks some awkward facts ...Lowe believes that progress can be made more secure by deconstructing myths. 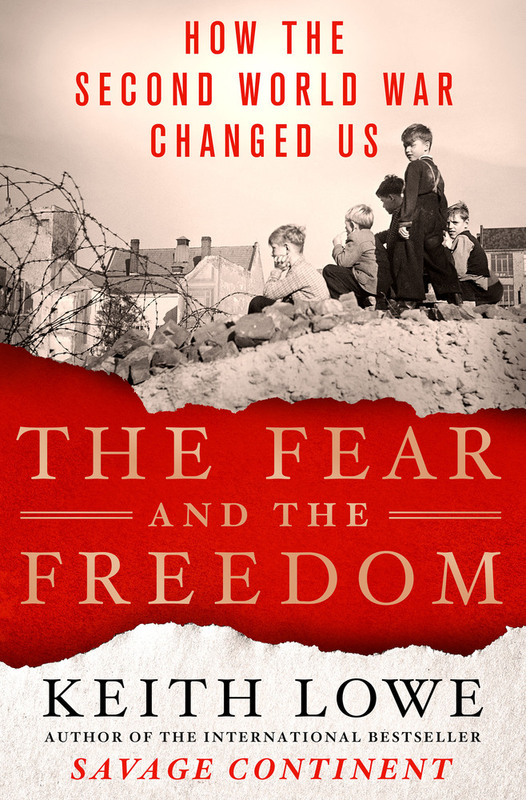 What did you think of The Fear and the Freedom?